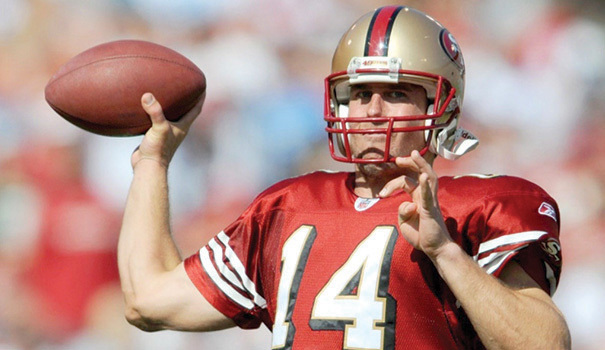 JT O'Sullivan was an NFL quarterback for nearly a decade. Congratulations to vice principals Bill Miller and Jennifer Pacofsky for being recognized at the California League of High School awards banquet for their service and hard work! They were noted for the many hours of extra service given to the students at Henry in spite of budget cuts and a loss of support staff to help them do their jobs. They are both dedicated vice principals who care about the students and do their best to help them whenever possible. In addition, science teacher Autumn Flores was also recognized as an Educator of the Year finalist. She was selected for her commitment to serve her students both in the classroom and as an ASB advisor. Her dedication in creating lessons that are creative, supportive of the new science standards, and provide real world experiences puts her ahead of many science teachers across the country. She has been selected to travel abroad through science teaching experiences over the summer to further promote and improve her practice. 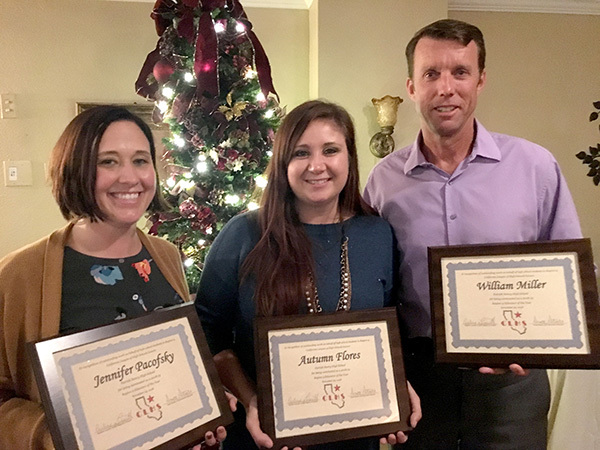 Congratulations to Jen, Bill, and Autumn for all you do at Henry! 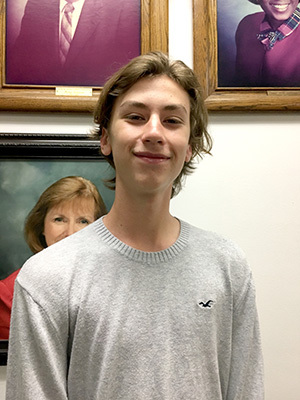 Ian Lovewell, a ninth-grade seminar student, has been auditioning for the Drum Corps International (DCI) and over the break he made the final cut and was accepted. He described the audition process, which included two back-to-back days of 12-hour tryouts, both in San Diego and Los Angeles, over two different weekends. Ian is excited tour the country this summer competing in the corps. He’s really proud of making the team and will certainly learn a lot through his travels. Students will be marching through many locations and venues from June through August while showcasing the best of marching music from coast to coast. The 2019 DCI team will feature more than 70 drum corps and SoundSport teams participating in 108 different competitive events in 35 states. Congratulations, Ian! After concluding a search that included 28 applicants from San Diego, Arizona, Oregon, Hawaii, and Northern California, we were able to find a head coach that we are all excited for as we bring PHHS Patriot Football to a new era! We are proud to introduce JT O’Sullivan as our new head football coach. He is very excited to get started right away. O’Sullivan has spent over 15 years in athletics and education. He was an NFL quarterback for nearly a decade. Drafted by the Saints in the sixth round in 2002, he eventually played for 11 NFL organizations and played in NFL Europe and CFL. After retiring from the NFL, O’Sullivan transitioned into intercollegiate athletics administration at the University of San Diego (USD) and San Diego State University where he worked in strategic planning, event management, facilities, operations, compliance, and development. O’Sullivan has also volunteered as a football coach at Southwestern College. In addition, he is an experienced speaker and has spoken to numerous camps, youth groups, high schools, intercollegiate athletics departments, and military groups. As a student-athlete, O’Sullivan was a two-time team captain, MVP, and most inspirational player at UC Davis. He is also a member of the UC Davis Athletics Hall of Fame and was named the young alumnus of the year. O’Sullivan earned his bachelor’s degree from UC Davis before receiving his Ph.D. in leadership studies from USD. His diverse background includes teaching leadership, organizational development, and fundraising courses at the undergraduate and graduate levels. O’Sullivan has called San Diego home since 2004. He and his wife Laura have three sons Jack (8), Larkin (5), and Davis (3). “The Addams Family” is a fictional household created by American cartoonist Charles Addams and includes characters that are hard to forget. Come meet Gomez and Morticia Addams, their children Wednesday and Pugsley, close family members Uncle Fester and Grandmama, their butler Lurch, the disembodied hand fondly known as Thing, and Gomez’s Cousin Itt! The Addamses are a satirical version of the ideal 20th-century American family: an odd, wealthy, aristocratic clan who delight in the macabre and are seemingly unaware, or do not care, that other people find them bizarre or frightening. 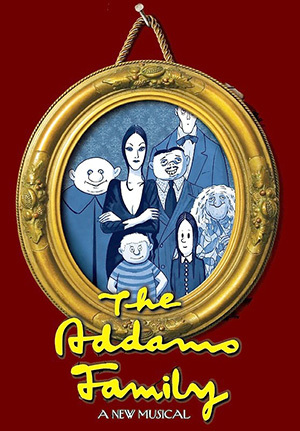 “The Addams Family” TV show debuted in 1964 and aired for two seasons. The musical was later written and performed on a live theater in Chicago 2009 and made its way to Broadway the following year. PHHS is excited to bring this Broadway musical comedy to life in PHAME this February. The evening show begins on Thursday, Feb 21, and runs through Saturday, Feb 23., at 6 p.m.; and there will be a matinee performance on Sunday, Feb. 24, at 2 p.m. All performances will be held in PHAME! The cost for each ticket is $10 for any of the performances listed. 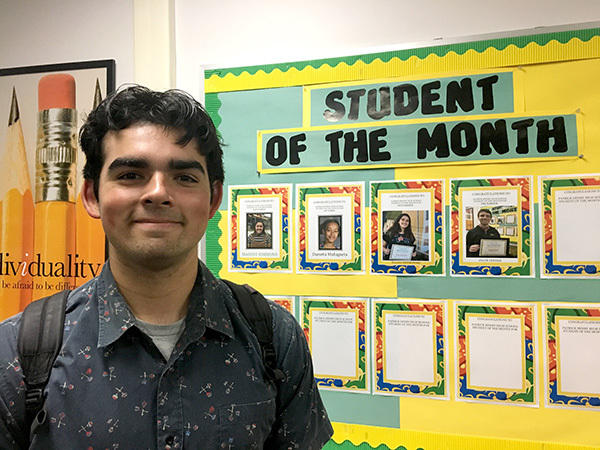 Patrick Henry High School (PHHS) is proud to name Angelo Salazar our Student of the Month for January. Angelo was honored during the Grantville/Allied Garden Kiwanis Club meeting last month by Vice Principal Bill Miller and his family who attended the breakfast. Angelo was nominated by several teachers from many different areas of expertise. He was noted for being a peer mediator, captain on the football team, and a great all-around student. Angelo has been given a Congressional Recognition that helped support his application to West Point Military School where he’ll be attending. His successes has made everyone at PHHS very proud and we’re excited to see what he can do after he leaves Henry!